Hey! Are you worried and tensed for storing your office goods for a new move? We know that it’s very hard and stress full to move your office from one place to another. Packing office goods and all that stuff belongs to your work. You still have a few months to move but your contract is ended? But don’t worry The Home Storage Dubai services are here to make your office move hassle free and smooth. We are the leading name in office storage services across Dubai. We have premium storage units for your requirements with compatible rates, easy access, flexible terms, and best customer service. Our easy to reach location makes your access easy to your belonging .we have spate cabinets, drawer organizers, file carts and storage, desk top collection and much more will make your work and life easier, As the leading name in storage we are committed to provide the highest standards of storage solutions which meet their needs. Let’s provide you your business with a best of commercial storage solution which will be more cost-effective and have more competitive price, professional and secure than storing your commodities in a self-storage facility. The Home Storage Dubai have two state-of-the-art warehouses for your storage and distribution needs. We are offering you short-term and long-term storage solutions for all types of businesses and facilitate you with our excellent storage services, including major appliance distributors, furniture retailers, hotels, and businesses of all sizes. The Home Storage Dubai offer the most secure office storage solution possible. Gated, outfitted with sprinkler protection, security alarm and camera surveillance, you can rest assured your items will be safe. The Home Storage Dubai is a new breed of moving and storage company, working for you 24/7 with one goal in mind-to be your single-source provider of household storage solutions. Have questions regarding your move or our services for commercial commodities storage? Feel free to Contact us today. The Home Storage Dubai Providing you a better way to store – Maybe you’re having construction work done, and need a secure place for your things. Maybe you’ve renewed your office, but don’t want to haul things back and forth to some off-site self storage warehouse. Whatever your situation, wherever the location is The Home Storage Dubai is the perfect solution for short- and long-term storage. We are your most trusted storage services provider for many years. Your believe is our success. Our team members work in a very friendly atmosphere. Whatever your needs are, we have storage services that suits your requirements All our storage provisions are specially originate and based upon our sound experience. our storage flair are especially suited for longer-term storage. Your possessions are carefully archive and packed into a container at your home and then sealed not to be opened again until you need their return. For the duration of their stay in our storage warehouse, the numbered containers are placed into position in neat rows ensuring maximum security with the minimum of handling. For more information on storage please keep in touch with one of our Customer Service Managers who will be pleased to assist. you can’t instantly engage your newly rented space and you require a safe place to keep your personal belongings until they are moved to the new locality, The Home Storage Dubai can help you! We will find the exact blend for optimizing the available space as well as your costs, so you will only have to pay for the right used space. To ensure the safety of your goods, our storage units are equipped with various security features, including 24/7 surveillance cameras and alarm systems. 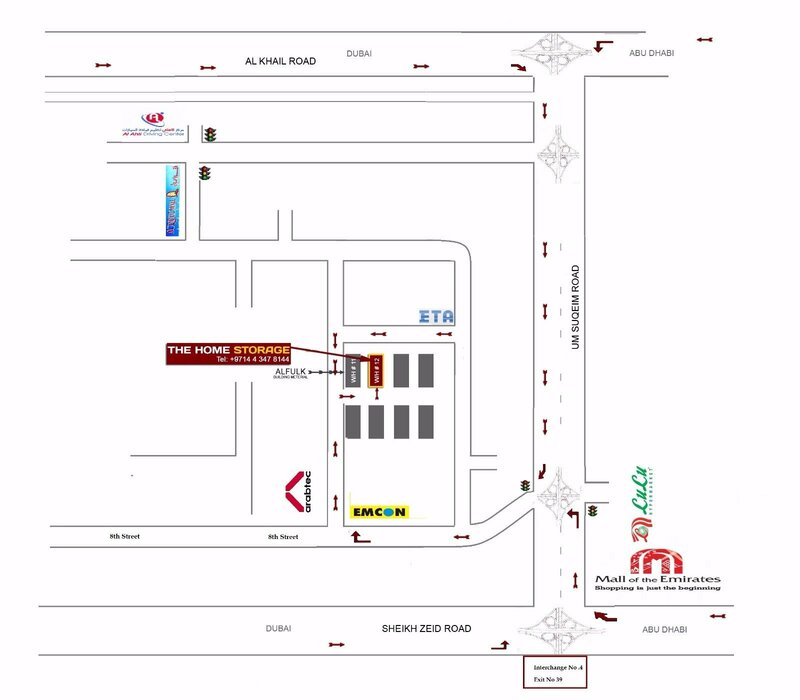 Our storage facilities are safe and easily to reach location. To make sure the most efficient storage, we provide all the demanding packaging materials. When you are ready to receive your belongings, our professional and trained staff will remit the containers directly to your new locality. Unpacking will be made with the same care and attention to detail provided throughout the entire relocation. our storage options are flexible, also offers easy monthly payments. The Home Storage Dubai’s dedication to the highest excellence for quality services will be providing a safe, effortless, quick and hassle free long term storage. We have a team of great professional expertise psyched and waiting to help with every aspect of the storage process. So if you’re in need of appropriate, reasonable long term storage rooms, get in contact with the . The Home storage Dubai is the leading name in storage solutions all across UAE. We are one of the best storage solution providers in With hundreds of facilities and thousands of customers across the Dubai. You might never know when you need a temporary storage, either you are moving to a new home or renovating your space, we understand that you need temporary storage until you resume to your normal lives. At The Home storage Dubai , we have originate our short term storage to satisfy all types of short term storage solution needs with stretchy charter, easy monthly payment and a friendly staff to help when you have need of. Short term storage is the optimum solution for those looking for rented temporary storage for a period of a few weeks or months. Renovating or moving house /office can be fraught, therefore it is better to make an approach for short term storage. We at The Home storage Dubai are masters in short term storage solutions! We personify our premium self storage units to each customer’s demand. Every customer approaches a private storage unit to which only he has access. Our storage units are based also in Dubai, offering compatible price, easy monthly installments affordable rates and flexible terms. Our expert team is here to serve you 24/7.our storage units are temperature control to preserve your belongings carefully. Our packing tips have been developed through many years of experience with moving companies across the country. Whether you want packing tips or moving quotes, you’ll find everything you need from The Home Storage Dubai for a successful move. You can even obtain multiple free moving estimates to help you estimate your total moving costs. When packing or storing furniture, wrap it with blankets, towels, or old linens. This prevents it from being scratched or otherwise damaged. Most packing tips don’t tell you that furniture legs should also be wrapped. Backing up important files and making a hard copy of important files on your computer is another great packing tip. If you disassemble an item you’re self packing, label, number, or otherwise mark each piece for easy reassembly. It is better to select a mover that’s experienced and insured than ruin your furniture in the process. Chairs should be stacked seat-to-seat with paper in between. Fit what you can inside any like item. For example, you can store sponges in pots. This packing tip will save valuable space and makes unpacking easier. Its often cheaper to pack lightweight items yourself, such as books, linens, clothing, toys and small kitchen appliances. Pack your jewelry, family heirlooms, sports memorabilia, photo albums or other priceless items yourself. Move them yourself too, either in the car or as carry-on luggage, if size allows. Before the movers arrive, all major appliances should be cleaned and disconnected. This includes: refrigerator, dishwasher, stove, washer and dryer. “One mans trash is another mans treasure. Don’t wait until the last minute to choose which goods to bring with you. This doesn’t have to be an overwhelming process. Just work on one room or with one group of items at a time. For example, you could list 10 items per week, or take 10 items to a consignment store. If it doesn’t work in one place, you wont be stuck. Storage space is needed for a variety of reasons, such as when moving to a smaller home, when your house is not yet ready or when there are just too many things to unpack and not enough time. And, simply having too much stuff is glowingly becoming accepted as a perfectly good reason to rent storage space. People also rely on storage space for more traditional reasons, such as being evicted from an apartment, deciding to move in with a significant other, remodeling a home or having a home damaged by fire or other casualty. Basic storage options for household goods are to either store your possessions in a moving company’s warehouse, or lease a self storage unit at a self storage facility. The circumstances for storing your property will be the primary factor determining which type of storage you’ll use. However storing into a professional storage house is much safer and convenient option. Be sure to see our Packing Guide for great packing tips you can use for getting your items ready for transfer to storage. Moving can be a stressful time. Whether you’re hiring local movers, interstate movers, international movers or moving yourself across town, the moving options you select can result in stress from start to finish. That’s why The Home Storage provides a complete range of moving services and information – so you’ll have a much better chance for a smooth move. A local move option, means a shipment of goods where the origin and destination are within the same state and less than approx 100 miles apart. Moves that are still within the same state but are more than 99 miles from origin to destination are considered intrastate moves or state to state moves. Movers relocating overseas will want to visit our International Moving section for information on overseas moving and a form you can use to request free quotes from international movers. Need moving tips to move a car or other vehicle? Check out our auto transport page! It takes just a few minutes to request multiple estimates from moving companies…there’s no obligation… you just complete one form online…it’s real easy… the moving companies are per-screened…we don’t share your information with anyone except the moving companies we contact to provide your estimates…and, best of all…these moving company estimates are FREE! What are you waiting for? Get FREE moving company estimates from The Home Storage today! Premier Self Stroage Rental Services on Affordable Prices and Flexible Terms.